Many brands have deemed social media their sole hub of customer interaction. But email is still prime real estate for building relationships with customers. And it boasts an impressive ROI. Email marketing provided an average return on investment (ROI) of $38 for every $1 spent in 2015 and increased to $44 for every $1 in 2016. It’s wonderful that email marketing continues to provide a great ROI. But none of it matters if your emails don’t get opened. Did you know that 47% of recipients open emails based exclusively on the subject line? Now that you know the importance of email subject lines, how do you create one that will get your message opened? Here are some ways to make your subject lines great. First, some email providers limit the number of characters you can use in subject lines. Next, according to Return Path 55% of email is opened on mobile devices. Lastly, shorter subject lines get the most opens. Emails with personalized subject lines have a 50% higher open rate than emails without personalized subject lines. Another way to lose email opens is to have your emails sent to your recipient’s junk folder. 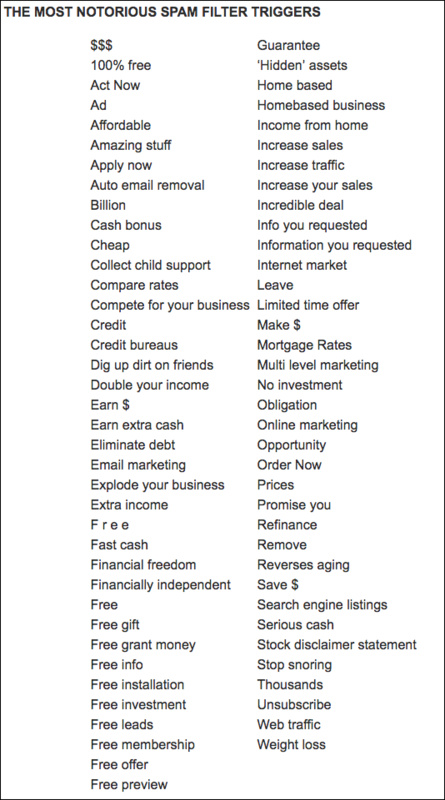 Certain words trigger spam filters, so avoid using them in your email subject lines. Use these tips to increase the open rate of your next email campaign. Remember to test and analyze to keep improving your results.